Announced by New York Gov. Andrew Cuomo and Puerto Rico Gov. 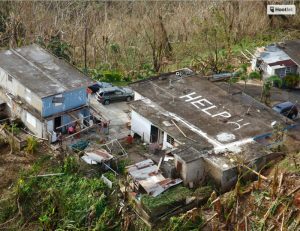 Ricardo Rosselló, the plan comes as more than 30 percent of the island remains without power nearly three months after a devastating hit from Hurricane Maria. The governors made the recommendations following release of a report, “Build Back Better: Reimagining and Strengthening the PowerGrid of Puerto Rico,” by a working group of New York utilities, federal labs, clean energy advocacy groups, and other energy experts. In all, the report recommends $17.8 billion to fix and rebuild the island’s electric infrastructure so that it can withstand future severe storms. Cuomo has been sending teams to the island since the early days of hurricane recovery bringing lessons learned from five years ago when Superstorm Sandy knocked out power to parts of the Northeast for more than two weeks. Since then, New York has embarked on an aggressive campaign to foster development of distributed energy and microgrids within its own borders, including offering $40 million in funding for community microgrids through the New York prize. The development of Puerto Rico’s plan was undertaken in parallel with New York’s on the ground efforts that began in September. More than 450 New York State utility workers are in Puerto Rico working on power restoration. Puerto Rico’s new microgrids would not only shore up electric reliability, but also bring cleaner and more efficient power to the island. The microgrids could open the opportunity to swap out some of the island’s older fossil fuel power plants with renewable and more efficient generation, such as solar, energy storage and combined heat and power (CHP). The 63-page report said that the microgrids also might allow the island to defer construction of some transmission lines. The 159 microgrids would largely power critical facilities, like hospitals, water treatment plants and shelters. A few also would serve remote off-grid communities. The report finds that the island should have microgrids at about 26 hospitals, 20 police and 20 fire stations, 75 emergency shelters, 10 percent of the island’s waste water and water treat facilities. 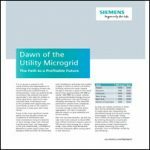 Sized to use solar and battery storage for typical daily use, the microgrids would include diesel generators and possibly CHP for times when the solar and batteries are unavailable. The U.S. government would invest in the microgrids over five to ten-years with the most critical facilities given priority. If the funding is approved by Congress, the work would be undertaken through the Federal Emergency Management Agency, the U.S. Army Corp of Engineers and the Puerto Rico Electric Power Authority (PREPA), the utility that serves the island’s 1.5 million electric customers. The plan also recommends investment in transmission, distribution and substations, including automatic switching, blackstart relays, high risk-SCADA units and advanced distribution management systems. It calls for $315 million of solar for new residential construction, building code upgrades, repair and hardening of existing power plants and the build-out of a liquified natural gas pipeline. Called Build Back Better, the report was created with assistance from Navigant Consulting by a working group convened by Cuomo that includes the New York Power Authority, PREPA, Puerto Rico Energy Commission, Consolidated Edison, the U.S. Department of Energy, Edison International, Electric Power Research Institute, Long Island Power Authority, Smart Electric Power Alliance, Brookhaven National Laboratory, National Renewable Energy Laboratory, Grid Modernization Lab Consortium and the Pacific Northwest National Laboratory. The New York plan comes as the Puerto Rico Energy Commission separately solicits comments from stakeholders on how to rebuild the grid to ensure long-term electric reliability. From that proceeding, AES recently proposed a series of mini-grids for the island. Separately, PREPA yesterday announced 11 utility industry leaders who will serve as founding members of PREPA’s new Transformation Advisory Council (TAC), formed to help PREPA with a long-term plan for the power system. The Build Back Better plan is expected to act as a foundational document for TAC. TAC will be co-chaired by David Owens, who recently retired as executive vice president of the Edison Electric Institute, along with Cris Eugster, chief operating officer of CPS Energy in San Antonio. Other TAC members are: Charlie Bayless, former CEO of Illinois Power and Tucson Electric; David Bissell, CEO of the Kauai Island Utility Cooperative; Sanjay Bose, vice president of central engineering of Consolidated Edison; Terry Boston, director of Gridliance and former CEO of PJM; Kyle Datta, general partner of the Ulupono Initiative; Julia Hamm, CEO of the Smart Electric Power Alliance; Robert Lurie, executive vice president and chief financial officer of the New York Power Authority; Fidel Marquez, senior vice president of Commonwealth Edison; Tom Voss, chairman of Smart Wires and former chairman, president and CEO of Ameren. Learn more about plans to build microgrids in Puerto Rico. 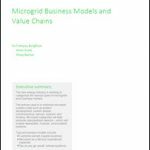 Register today for Microgrid 2018. Don’t wait — Microgrid 2017 sold out.